• Dinner in a local restaurant with entertainment program – Georgian folk-show. It will be your first acquaintance with the famous Georgian cuisine. Round-trip transfer included. Price – 30 USD pp. DAY 2 City tour of Tbilisi. 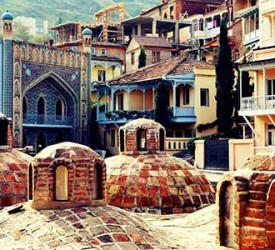 After breakfast, you will meet your guide in the hotel lobby and start your personal discovery of Georgia with a city tour of its capital city, Tbilisi. First stop will be at glorious Sameba – the main cathedral and the tallest religious building of the country. Next up is Metekhi Church located in the neighborhood of the same name and gracefully situated on a cliff above Mtkvari river. Your guide will then take you to the new Rike Park to admire and perhaps take a few photos in front of The Bridge of Peace, a stunning modern structure designed by Italian architects and one of the new symbols of the city. One of the highlights of the day is a visit to Narikala – the capital’s ancient fortress, where the stunning views over the city will be open out before you. You’ll be whisked to the top in a cable car and after your visit will wander down by foot through the narrow and historic streets of the Old Town, among them the newly renovated Shardeni kucha – the street which never sleeps, and one of Tbilisi’s nighttime hot spots. Afterwards you go out of the city and see the spectacular monument “History of Georgia” ”. It was created by the famous sculptor – Zurab Tsereteli, who is mostly famous for his works in Moscow, but he also created monuments in his homeland – Georgia. The monument itself is like a Georgian version of Stonehenge. Pillars of stone are carved with scenes from Jesus’ life and Georgian history, and at close to 100ft tall they are really very impressive! There are lovely views of the Tbilisi sea and northern Tbilisi from the monument which you can enjoy before returning to the hotel for an evening at your leisure. • Choreography Class. Master-class of Georgian dances. During 1.5 hours session you will have an opportunity to learn the moves from the professional dancers (no special skills required). Breakfast in the hotel. You will start the day with a visit to the beautiful and historic suburb of Tbilisi, Mtskheta – the old, legendary capital of Georgia, just 20km from the city center. 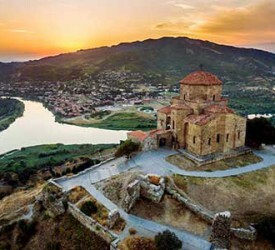 The historic capital of Eastern Georgia (Kartli) and set at the confluence of the Mtkvari and Aragvi Rivers, Mtskheta has remained at the spiritual heart of Georgia since Christianity was established. The Svetitskhoveli cathedral remains at the center of the Orthodox church and has inspired many Georgian poets and artists over the years. Legend has it that a seamless robe of Christ’s is buried somewhere within the temple and you’ll find fragments of paintings dating back to the 1th centuary, including one depicting a hand which stories tell is the hand of the cathedrals architect which king Giorgi amputated to stop him making another cathedral as beautiful as Svetitskhoveli. Afterwards you’ll visit Jvari Monastery (Monastery of the Cross)), previously a pagan temple and latterly turned into Christian church. Perched on a windblown, rocky promontory, take some time to enjoy the exceptional scenery and take some photos of this amazing UNESCO world heritage listed structure. 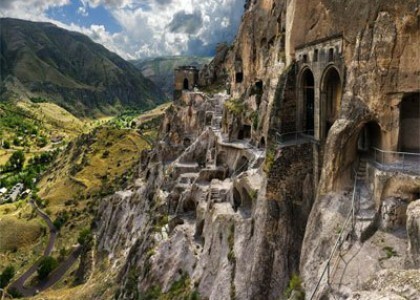 After the lunch break, you will depart to Uplistsikhe – an impressive cave-city in Eastern Georgia, which was a significant cultural center before the Christian era. The name Uplistsikhe literally means “The God’s Castle” and the cave complex sits 10km east of Gori in modern day Georgia. One of the most ancient settlements in the Kingdom of Kartli (Iberia) the town became a major political and religious center for the Kingdom, and its foundations were later ascribed to the mythical Uplos. 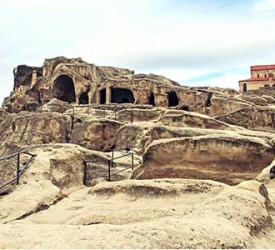 Step back in time as you wander the caves, passing temples which predate Christianity, pagan sacrificial sites, bakeries, an amphitheater and a Christian basilica. Later you will visit Gori, the regional capital of Shida Kartlix in eastern Georgia. Situated on the road connecting east and west Georgia Gori was an important medieval stronghold. The birthplace of Joseph Stalin, there is a rather biased but worthwhile museum dedicated to the man who was one of the key influencers in 20th century world history. Visitors can see the tiny house where Stalin spent his formative years; trace the story of his life through the various exhibitions. There is also a statue of Stalin in front of the city hall, unique because of its excellent preservation in a region where most statues of the man have been destroyed. DAY 4 Transfer to the airport. 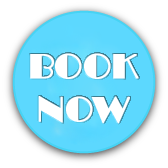 Your driver will meet you at the hotel lobby for the scheduled transfer to Tbilisi International Airport. The biggest cave-city complex. This is a full day optional tour to one of the most ancient places close to the border of Armenia. 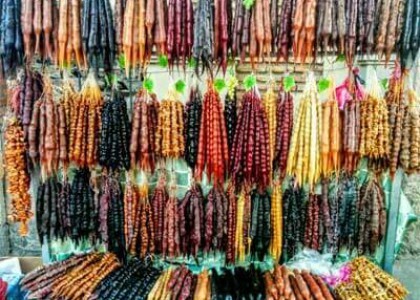 Your guide will take you for shopping tour to purchase the authentic Georgian stuff and local food. Inclusions: English-speaking guide service, transportation. 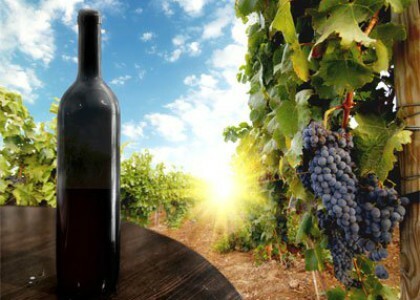 Start the tour of exploring the Alaverdi monastery complex and then proceed to the most well-known wineries of the region – Khareba, Corporation Kindzmarauli.